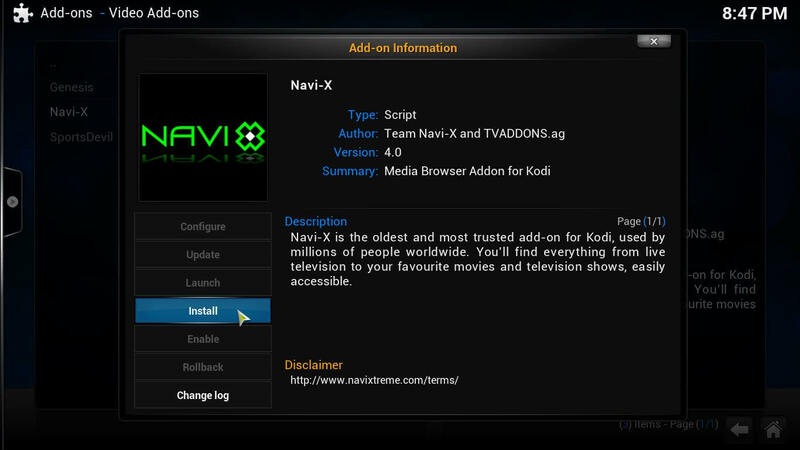 Home Home Media Guide: How to install Kodi Navi X addon? Addons extend Kodi’s functionality, and in this post I will show you how to install Kodi Navi X addon. 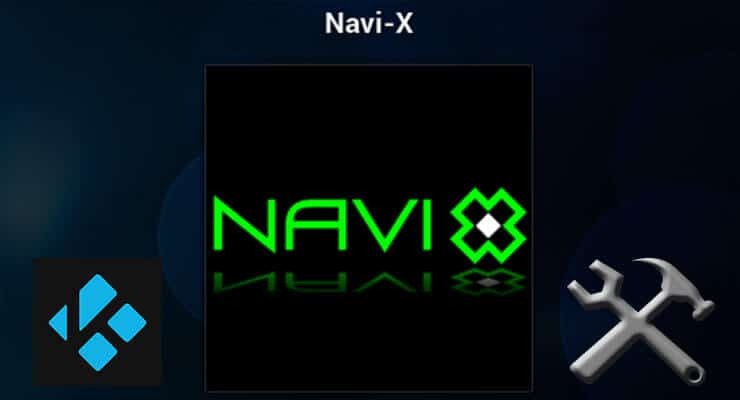 Navi X is among the 20 best Kodi addons we recommend. Addons make it easier to get content on your Kodi HTPC. 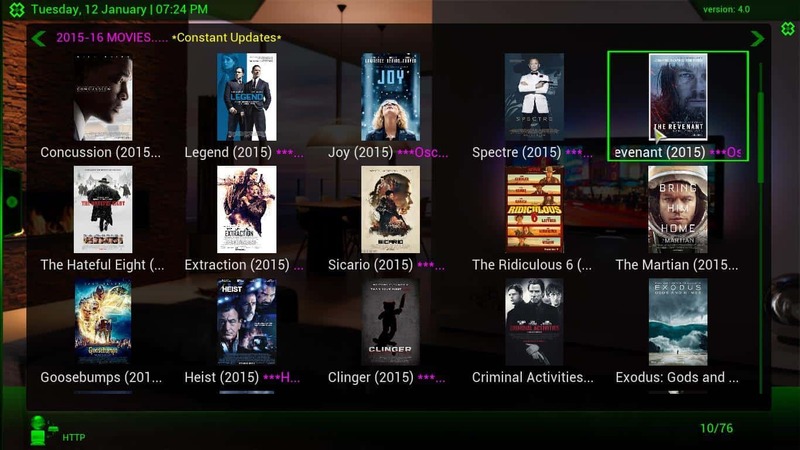 You may already know this if you tested some of addons we recommended in our list of best kodi movies addons or best kodi live tv addons. This is one of the oldest addons for Kodi, and even though it is somewhat unorganized, it's still a major favorite among many cordcutters. Why is that? Simply because of the insane amount of content you can find within this addon, provided you invest the time on doing so and sorting out all the dead links from the working ones. There's a wealth of content waiting for you after you install Kodi Navi X, and we will tell you today how to get access to it. 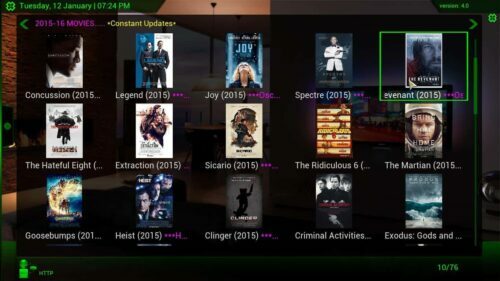 You can find a great amount of content within the Kodi Navi X addon. How to install Kodi Navi X addon? 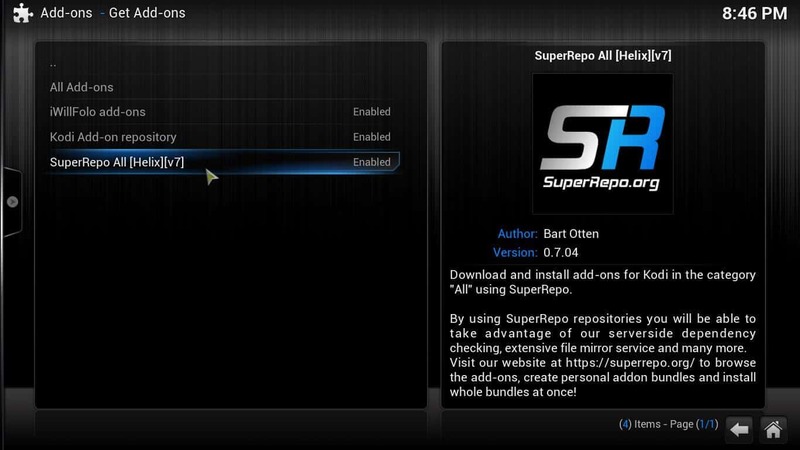 First, make sure you have the SuperRepo addon repository installed on your Kodi HTPC. If you do not have it yet, take a look at our guide to install SuperRepo on Kodi; this way, you will be able not only to install Kodi Navi X addon, but quite a high amount of other different and interesting addons as well, to keep your HTPC varied and useful. Once you have installed SuperRepo, from the main menu head to System -> Settings -> Add-ons -> Get Add-ons, and find SuperRepo on the list that appears. Select the SuperRepo plugin repository to look for Navi X. 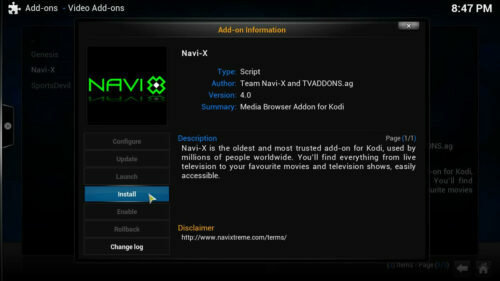 Once you have found the Kodi Navi X add on, click it, and then scroll through the list until you find Video Add-ons. 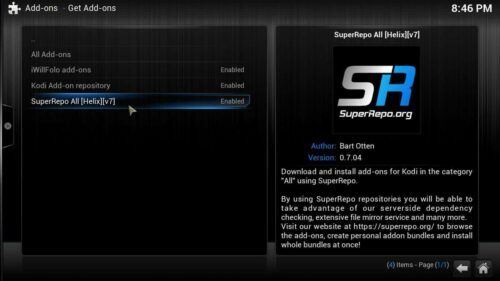 When you click this item, you will be presented with a list of all the video addons available to be installed via SuperRepo. Scroll down until you find Navi X, and click it. A dialog will appear, all you have to do is press the Install button. On the dialog that appears, click Install, in order to install Kodi Navi X addon. After you have clicked, wait a few seconds while the addon downloads and installs. When you install Kodi Navi X addon successfully, you will get the following notification on the bottom-right corner of your screen. When this notification appears, it indicates you have been successful installing Navi X plugin. You're done! Now feel free to browse all the options that this addon offers and try to find interesting content to relax on your couch. For more content options, be sure to browse some more of our lists, such as the one that compiles the best addons for Kodi in 2015 or even our list about the top 10 Kodi addons for gaming. With all the content you will find in Navi X and all of these options to try out, you will surely have entertainment to last you for weeks.